Google's video service YouTube now supports stereoscopic video. This is great news. I predict that soon it will be possible to stream stereoscopic YouTube videos to stereoscopic monitors. The only technical information so far is one very long help thread. The Google engineer behind 3d YouTube, "YouTube Pete", participates in that thread. I would like to take a moment to thank YouTube Pete for his beautiful work on the 3D YouTube project. Kudos to Pete. It is much appreciated. I made a hummingbird video to test out the 3d features myself. The embedded video below does not show the 3D interface. You must go to the YouTube page itself to see the full range of possibilities. Grab a pair of red/blue 3D glasses if you have one. Remember to check out the original movie to see all of the 3D viewing options. The left side is out of focus. I meant to set the focus for both cameras to 15 cm, but it looks like the focal length of the left eye was set too short. The sound doesn't seem to work. I plugged in a microphone, and selected the one audio option that was available in AmCap, but I don't hear any sound in the video. This needs to be investigated. I should register Stereoscopic Multiplexer, to avoid those watermarks on the video. It will cost about $90. Ouch. It would be good to get more light on the bird. Unfortunately, the sun won't shine on my patio until summer. The format is Left-Right (parallel), but the emerging YouTube standard is Right-Left (cross-eye), so I should use the Right-Left convention in the future. Plus I have an easier time free-viewing cross-eye, so it will be more convenient for me when viewing embedded videos like the one above. I used the YouTube tag "yt3d:swap=true" to correct for this inversion. This so-called biodiversity documentary contains professional-quality footage of domesticated ducks, geese, and honeybees in India. The narration is done with a top-quality computer generated voice. The voice is only slightly creepy. This next one is taken with a helmet camera. It is interesting and entertaining. It includes some cityscape images. Unfortunately, a cityscape shows little depth when using a normal human interpupillary distance of 60 mm or so. Hyperstereo might have been nice here. There are many many other stereoscopic videos on YouTube. Search for "yt3d" on YouTube. I created my hummingbird video using two USB pen cameras. So I could get the two cameras as close as possible. 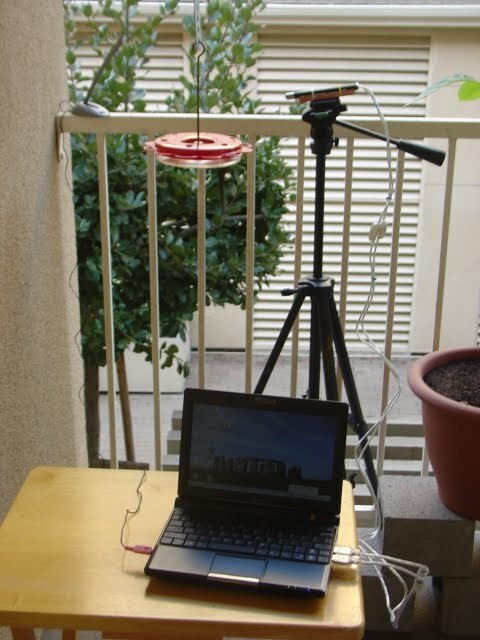 This setup is suited for small, close subjects, such as hummingbirds. Because the two cameras are only 14 mm apart, as opposed to the 60 mm separation of human eyes, my setup yields a view as seen by another hummingbird, rather than what would be seen by a person. This is called hypostereo. Two USB pen cameras and a portable netbook style computer are the basis of my stereoscopic video system. I created a custom bracket for the cameras so I can mount them on a tripod. The bracket is carefully shaped to compensate for the idiosyncrasies of these particular cameras. These very cheap cameras do not point in exactly the same direction. The narrow 14 mm distance between the camera lenses is crucial to producing a subtle 3D effect with small close subjects such as the hummingbird. 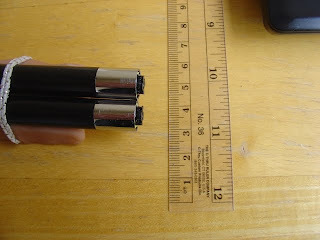 I chose these pen cameras because this form factor permits the smallest camera separation I could find. 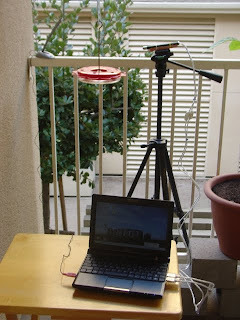 Here is a shot of the whole setup prepared to take hummingbird videos. UPDATE: It appears this issue might be fixed in a future release of wxwidgets. I frequently write computer programs with graphical user interfaces ("GUI"s). I insist that the interfaces look good on Windows, Mac, and Linux computers. By "good", I mean that the widgets (the buttons, sliders, and what-not), look exactly like those found on most other applications developed specifically for that particular platform. For example, buttons and progress bars on Mac must have that clear blue "Aqua" look. There are several programming tool kits which help to create native-looking user interfaces on multiple platforms. The three platforms I pay particular attention to are Windows, Mac, and Linux. Cross-platform GUI tool kits include wxWidgets, Tk, and Java Swing. This post documents the failure of wxWidgets and Java Swing to respect Windows font sizes. Look at the following picture to see the failure of wx and Java to respect the Windows font sizes. From left to right, the test programs are in Visual Basic, python/Tk, python/wx, and Java Swing. wxWidgets looks nice in some cases, but it has some ways to go to support native look and feel on Windows. I am working on several Windows XP systems, on which I routinely select "Large Fonts" in my desktop preferences. wxWidgets does not respect those preferences. Next, write an application using wxWidgets and test whether it respects your font choice. I didn't think so. If it's any consolation, Java doesn't respect the Windows font size either. If you want to use a cross-platform widget tool kit, and your definition of "cross-platform" includes Windows, my recommendation is to use Tk 8.5. Below are the test programs I wrote to create the windows shown at the beginning of this post.
' "Hello, World!" program in Visual Basic. MsgBox("Hello, World! 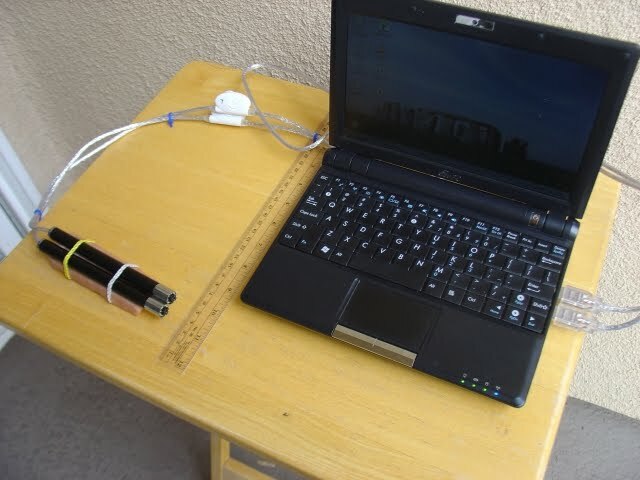 (VB)") ' Display message on computer screen. The wx bug tracker has had a couple of bug reports for this problem, one open for five years. Somehow I doubt they are itching to fix this problem. The wx source code has similar code in a few locations. But it appears that this technique may be only used for menu fonts and message dialog fonts. The main problem might be that the method wxGetCCDefaultFont() in the wx source code uses SPI_GETINCONTITLELOGFONT instead of SPI_GETNONCLIENTMETRICS. Microsoft has documentation for the NONCLIENTMETRICS data structure. Even if the wx authors fix this today, I fear it will be a long time before the change trickles down into a wxPython release. I have always been a fan of nVidia graphics boards because of their support for 3D stereoscopic games. But the "consumer level" (non-Quadro) stereoscopic drivers only seem to work with games. I have always wondered how to create my own applications that can use the stereoscopic drivers on less-expensive gaming video boards. Now I have found a way. The "consumer" stereoscopic driver from nVidia only works with "full screen" games. When I started experimenting with OpenGL, I assumed that using the call "glutFullScreen()" might be enough to get the stereoscopic drivers to kick in. But it is not. The trick is to use the glutEnterGameMode() call. I did a lot of searching on the internet, and nowhere is it mentioned that you must call glutEnterGameMode() to get the nVidia "consumer level" stereoscopic drivers to work. That is why I am sharing this blog post. My working system is on Windows XP. I am uncertain if this approach will work with Windows Vista/7. I am a bit concerned because nVidia seems to be selling a hardware stereoscopic product these days. I am worried that my custom stereoscopic theater, which uses a pair of polarized video projectors, won't work if I upgrade my Windows version. Ensure you have a supported nVidia graphics board in your computer. See the stereoscopic driver users' guide for more details. Get the stereoscopic driver from nVidia. The most recent version (91.31) released for Windows XP is from 2006. That is the one I am using. Consult this driver guide for more details. Install Python 2.6 and PyOpenGL version 3.0.0, so you can conveniently create OpenGL programs in python. Familiarize yourself with OpenGL programming. I got started by following the examples of the "red book", the OpenGL Programming Guide. Study my example program, below, to learn how to call glutGameModeString() and glutEnterGameMode(). Modify the display() method and the animate() method to show whatever you want! Empty method for glutDisplayFunc during risky transition to game mode. 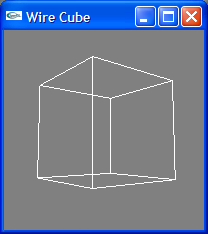 Creates a rotating wire frame cube using OpenGL. Pressing the "f" key toggles full screen game mode. # Remember window id for when we return from game mode. Set inoccuous callbacks during times when no valid context may be available. # Remember the window we created at start up? "display()" method is called every time OpenGL updates the display. # or else crash when entering stereoscopic mode. # "f" key toggle full screen and windowed mode. Periodically change the rotation angle for the cube animation. This animate method() is called as a glutTimerFunc(). # Run the HelloOpenGL application when this script is run directly.